The battles for the championship in all three classes of the IMSA WeatherTech SportsCar Championship remain close following Sunday’s Mobil 1 SportsCar Grand Prix at Canadian Tire Motorsport Park. In the Protoype class, the Action Express Racing entries, the No. 31 Whelen Engineering Cadillac DPi-V.R shared by Eric Curran and Felipe Nasr and the No. 5 Mustang Sampling Cadillac of Filipe Albuquerque, and Christian Fittipaldi for the last two races, continue to swap the top spot in the Prototype class. GT Le Mans (GTLM) class race-winners Richard Westbrook and Ryan Briscoe have the largest points lead in the No. 67 Ford GT, holding a six-point advantage over No. 3 Corvette C7.R co-drivers Jan Magnussen and Antonio Garcia. In the GT Daytona (GTD) class, No. 48 Paul Miller Racing Lamborghini Huracán GT3 co-drivers Bryan Sellers and Madison Snow opened up a very slight amount of breathing room over second-place Katherine Legge in the No. 86 Meyer Shank Racing Acura NSX GT3, stretching their lead from one point coming into the weekend to three at the close of play Sunday. The No. 54 CORE autosport ORECA LMP2 and co-drivers Colin Braun and Jon Bennett became the sixth different team to win a Prototype race this season, which already matches the series record with three Prototype races still to come this season. The record of six was initially established in the inaugural WeatherTech Championship season in 2014 and matched last year. Five different winners ended at the top of the podium in 2015 and 2016. Others who have stood atop the Prototype victory podium this year include the No. 99 JDC-Miller Motorsports ORECA LMP2 squad of Stephen Simpson, Misha Goikhberg and Chris Miller (Watkins Glen), No. 31 Cadillac co-drivers Curran and Nasr (Detroit), Ricky Taylor and Helio Castroneves, who co-drive the No. 7 Acura Team Penske ARX-05 DPi (Mid-Ohio); the No. 22 Tequila Patrón ESM Nissan DPi trio of Pipo Derani, Johannes van Overbeek and Nicolas Lapierre (Sebring) and the No. 5 Cadillac team of Albuquerque, Fittipaldi and Joao Barbosa (Daytona). Albuquerque, Barbosa and the No. 5 team are the only ones to win twice in Prototype competition this year, also winning at Long Beach. Based on the performance of some teams that have come close but haven’t yet won this season, it seems likely that we’ll see a new record for different winners. It could happen as early as the next round for the Prototype class, the Continental Tire Road Race Showcase at Road America on Aug. 3-5. 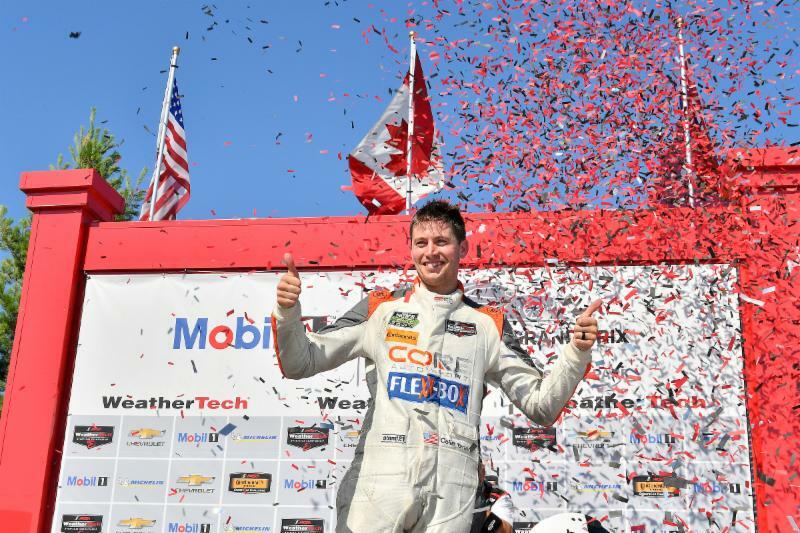 Sunday’s race at Canadian Tire Motorsport Park was another display of the tremendous parity in the GTD class, as five different manufacturers were represented in the top five finishing positions, led by race winners Ben Keating and Jeroen Bleekemolen in the No. 33 Mercedes-AMG GT3. 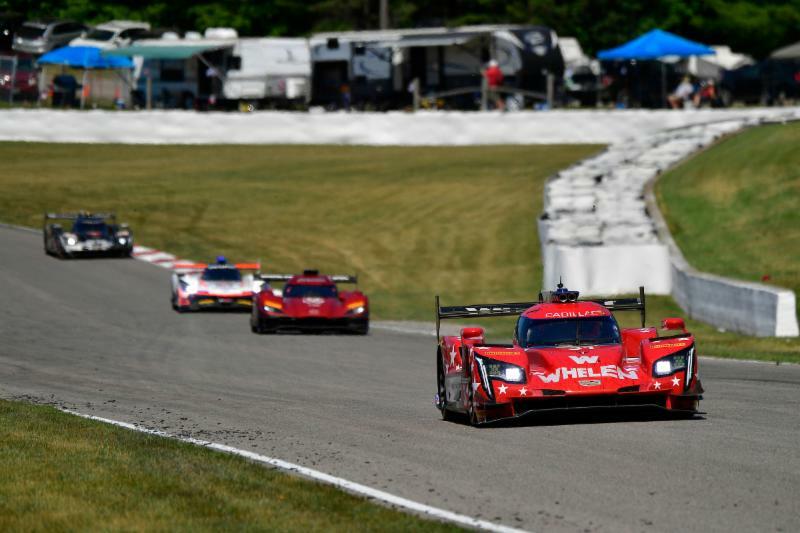 That came on the heels of the Sahlen’s Six Hours of The Glen a week earlier in which the top seven finishers each represented different manufacturers, led by the No. 96 Turner Motorsport BMW M6 GT3 and co-drivers Don Yount, Markus Palttala and Dillon Machavern. In total, seven of the eight participating manufacturers in GTD already have finished on the podium at least once this season, and five manufacturers have won races this year. Joining Mercedes and BMW in the 2018 GTD winners’ column are Lamborghini (Daytona and Sebring), Lexus (Mid-Ohio) and Acura (Detroit). 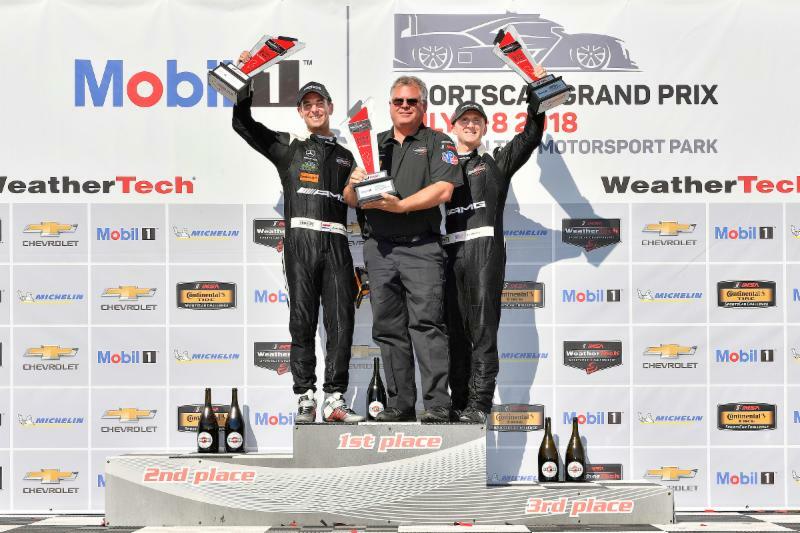 The duo claimed its second runner-up result in as many weeks at the Mobil 1 SportsCar Grand Prix. It also was the third consecutive podium result for Magnussen and Garcia and was their fourth podium of the season. As a result, they’re now only six points behind GTLM points leaders Westbrook and Briscoe. Last year, Magnussen and Garcia finished every race inside the GTLM top five and won three races en route to the title. They haven’t won yet this year, but one of the upcoming races is the Michelin GT Challenge at VIRginia International Raceway on Aug. 22, which Magnussen and Garcia have won each of the past two years. 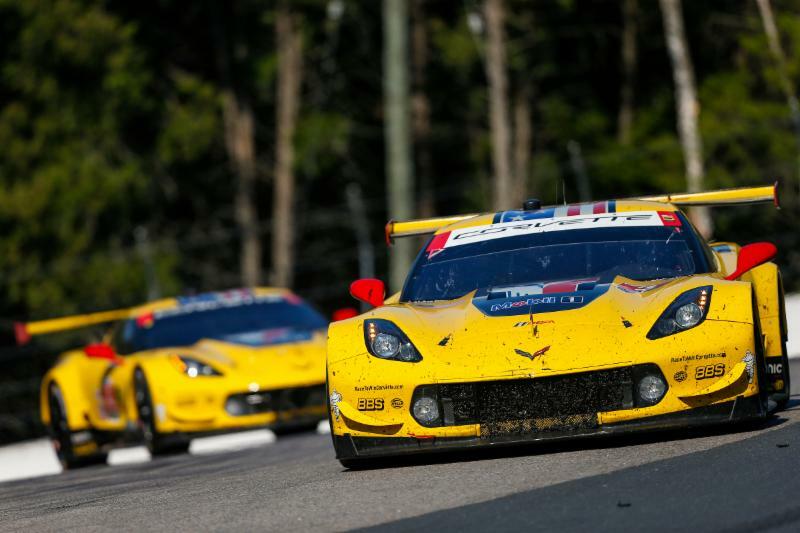 Putting even more history on their side is the fact that Magnussen and Corvette Racing has won previously on all five of the remaining tracks on the schedule. It’s been a tough year for the No. 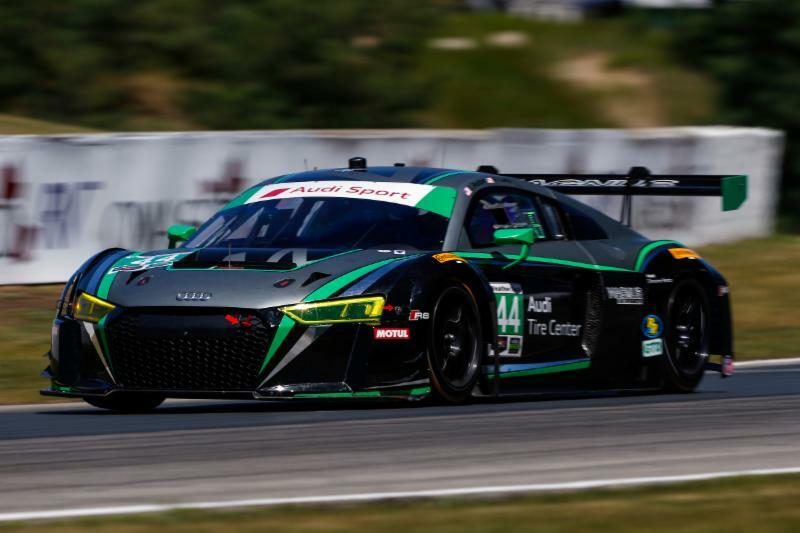 44 Magnus Racing Audi R8 LMS and co-drivers Andy Lally and John Potter, but Sunday’s podium result at Canadian Tire Motorsport Park could be a sign that their luck is starting to turn around. Lally put together an epic drive in his closing stint of the race, battling to a third-place result for the No. 44 team. It was three places better than the team’s previous best run this year of sixth in the Rolex 24 At Daytona. It also served as a just reward for the team, which was forced to make substantial repairs to the Audi on Saturday morning after Potter had a problem with the car’s ABS system in practice and crashed in Turn 5. We’ve already seen epic battles through the first seven Prototype races of the 2018 WeatherTech Championship season, battles that – as was mentioned previously – have been won by a variety of different teams and drivers. But the season-long war continues to be controlled by Action Express Racing and its pair of Cadillac DPi-V.R race cars. Since the No. 5 team of Albuquerque, Barbosa and Fittipaldi won the season opener in Daytona, leading a 1-2 sweep in the race ahead of No. 31 teammates Nasr, Curran, Mike Conway and Stuart Middleton, one Action Express team or the other has held the top spot in the Prototype point standings. In fact, the two teams have swapped the top spot in the standings three different times this season, including on Sunday when Curran and Nasr returned to the points lead with a third-place run at CTMP. “This team executes so well and we just do our thing and remain consistent,” said Curran after the race. “We didn't have the fastest car today but congrats to the No. 54 car on their win. The Whelen Cadillac was still good and it was a good day for championship points. I think we flip flopped back to the lead with our No. 5 teammates. I love coming to Mosport and it’s always good to be on this podium." While they continue to duke it out at the top of the standings, various other teams have gained and lost ground on the two AXR entries throughout the season. The No. 10 Konica Minolta Cadillac DPi-V.R team of Jordan Taylor and Renger van der Zande from Wayne Taylor Racing are currently the closest, sitting third in the championship standings with 188 points. That puts them 10 behind the leading No. 31 teammates and nine back of Albuquerque in second. Of course, it’s nothing new to see Action Express and WTR battling atop the Prototype point standings. The Wayne Taylor team is defending Prototype champions, while Action Express won the three previous WeatherTech Championship Prototype titles.